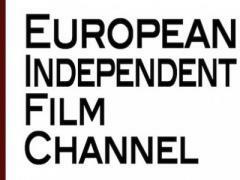 The European Independent Film Channel (EuroIFC) champions today΄s independent filmmakers by screening an outstanding array of original independent films from around the world, interviews with directors, and other original videos. Running in conjunction with ÉCU-The European Independent Film Festival and serving as a platform for incredible talent and creativity, the channel exemplifies independent cinema at its very best. EuroIFC (European Independent Film Channel ) has already notched up 5,500 viewers. The brain child of the passionate and dynamic team behind The European Independent Film Festival, the channel was inspired in part by a recurring question posed post festival: Where can I see these films again? The answer, create an independent film channel and screen an outstanding array of original independent films from around the world. The Channel is free and most importantly it΄s legal. Redefining the concept of mobile cinema. Films can be viewed on an iPad, iPhone, laptop, blackberry. With seven categories to choose from, including short film, documentaries, student films, feature films, experimental film and animation films, the channel has a broad based appeal. Viewers are guaranteed five new releases per week and films remain uploaded for at least a month. The films comprise festival favourites / winners in all categories so quality is assured, allowing you to rewind your favourite as you unwind at home.